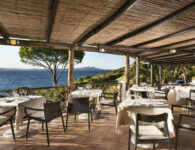 Hotel La Bisaccia is a landmark when it comes to Sardinian hospitality. It is a high-class hotel that offers quality services and guarantees all the tranquillity that guests look for in a holiday. 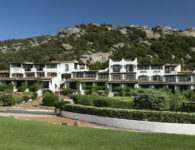 This 4-star hotel in Sardinia is one of a kind with a magnificent view of Baja Cala Battistoni and a private beach. Along the cape of the Baja, green lawns descend towards the sea and lead to small coves of sand and rock formations. The Pool Bar & Grill, beside the beautiful rooftop pool overlooking the sea, is waiting for you every day with a wide selection of spirits, cocktails, appetizers and many refreshments, to sip your favorite drink beneath the stars. 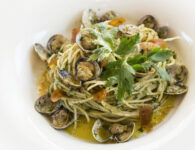 In our restaurants, the food is for everyone … our chef upon request will delight your appetites with delicious vegetarian options and savory recipes for celiacs. In all Baja Hotels properties is available the wi-fi free of charge service, that will allow you to be connected also during your holiday stay. 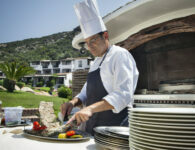 Let yourself be pampered by our team with the room service and taste your meals in the privacy of your room. Plunge into our swimming pool… lighthearted sun and relaxation at your fingertips. 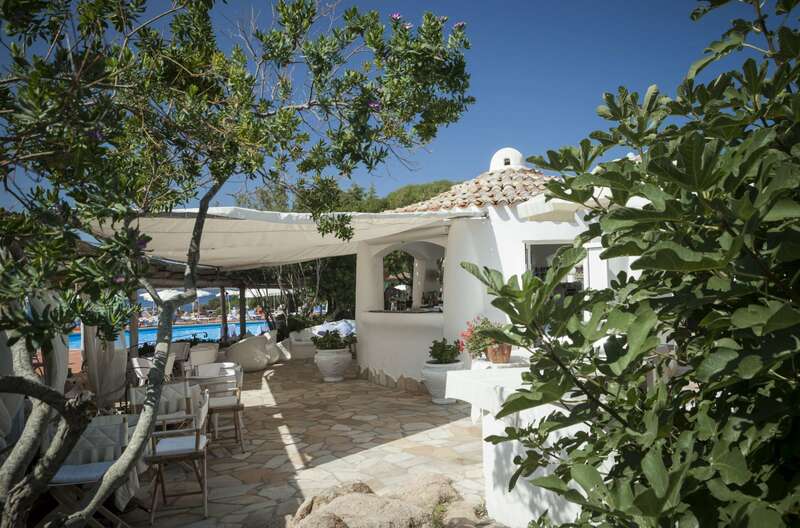 The beautiful swimming pool, overlooking the picturesque bay of Cala Battistoni, is filled of the perfumes of the luxuriant Mediterranean bush that surrounds it. The perfect compromise for those who prefer the comfort of the swimming pool but without renouncing to the benefits of sea water. 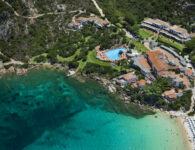 Sun beds, beach umbrellas, beach towels and a lifeguard service, are at the complete disposal of all of our guests. 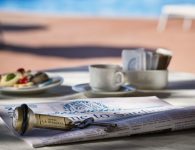 In addition the elegant open-air bar awaits you every day to delight your refreshing breaks throughout your moments of relax under the sunshine. 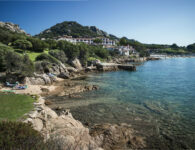 Relax among the fragrances of the Mediterranean maquis. The hotel is surrounded by a large and well-kept garden, which, with its aromas and shaded areas, allows our guests to spend some rejuvenating days, while admiring the sea on the numerous hammocks or seats that are at their disposal. From here our guest can have access to reserved inlets, where the beachtime will become a moment of pure relaxation and true wonder. In the evocative outdoor Bar by the large and panoramic swimming pool, awaits you every night, a vast repertoire of live music to complement your enjoyable aperitifs and after dinner drinks, while sipping the best wines of our renowned winery. 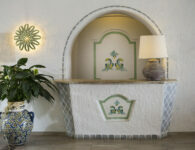 Lights, fragrances and cheerfulness, will be the perfect mix of your nights at the Hotel La Bisaccia. During the low season period, or in the evenings with low temperatures, the piano bar will be moved in the elegance of the indoor bar. 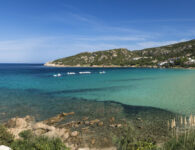 The Cala Battistoni beach, characterized by fine white sand and shallow waters, is the ideal place for those who love to attend the more animated beaches, where a wide availability of loungers and sunshades, as well as a daily life guard service, are completely and exclusively at the disposal of our guests. 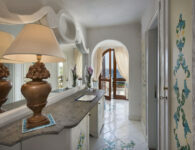 For those who prefer the privacy and total relaxation, from the large park of the Hotel, it is possible to reach, with a leisurely walk, the small and private inlets. 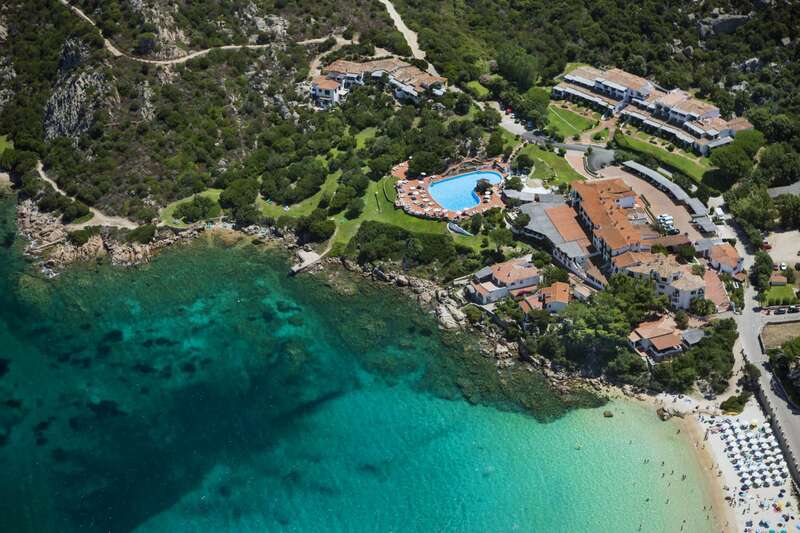 These coves of turquoise water, surrounded from the thick vegetation, are the ideal location for those who want to enjoy their holiday in complete freedom. 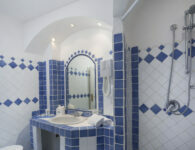 The room of Hotel La Bisaccia are tastefully decorated in typical style and colours of the local Gallurese tradition and are situated in the main building and the Residenza side building which was built more recently and offers higher categories of rooms and more spacious accommodations. 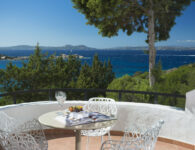 Spacious rooms, many with balcony with table and chairs. 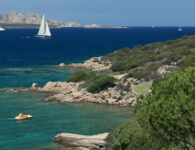 With amazing view to the bay and to La Maddalena archipelago. 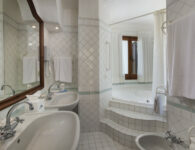 More spacious rooms with sea view, balcony and bathroom with Jacuzzi. 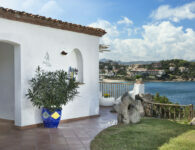 With partial sea views of the Baja and the Maddalena archipelago. 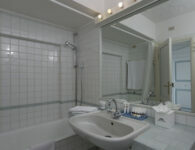 Junior Suite Rooms, more spacious rooms with side view balcony. 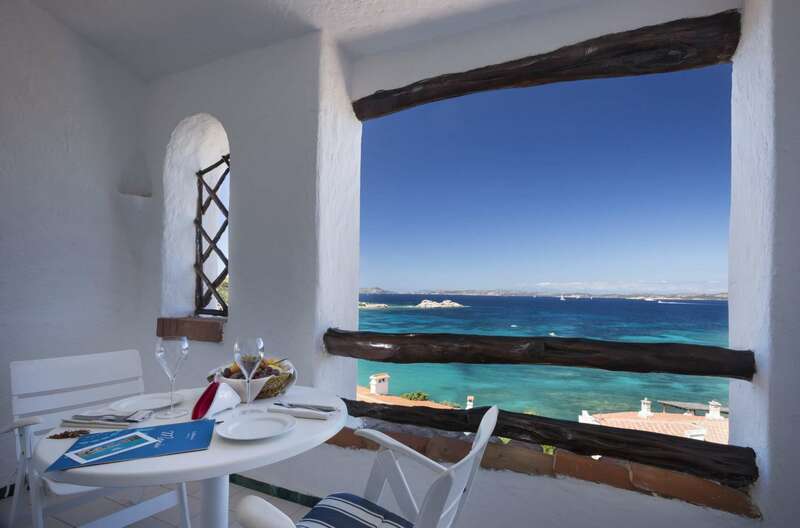 Recently built Room, with lovely sea views of the Baja and the Maddalena archipelago. 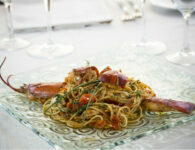 Traditional dishes, sophisticated flavours and helpful staff: pleasure for the palate. 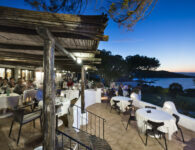 The panoramic veranda with stunning sea view or the large dining room inside will make dinner unforgettable. 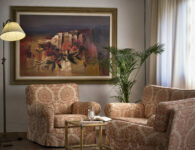 Taste the refined masterpieces from our kitchen to add a new element to your holiday. 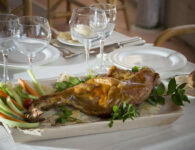 Specialties of fish and meat, prepared with passion by our chef, will take you on a sensory journey that always will surprise you, where tradition and modernity are perfectly combined. 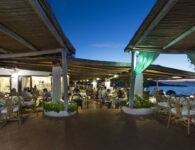 The restaurant La Terrazza is a magical place where everything is stylish and perfectly organized. 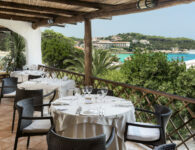 The terrace, surrounded by the nature and Mediterranean bush, with panoramic views over the crystal clear waters of Baja Sardinia and its large dining room, make the restaurant, an ideal location for lovers of luxury. 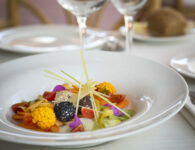 An impeccable, attentive and professional service to let you experience the best wine & food experience of your life. 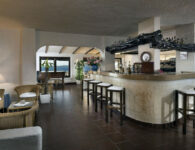 At the Hotel la Bisaccia your dream come true! The terrace over the sea, will be your romantic retreat to delight our rich breakfast buffet, immersed in the enchanting view of the Baja “Cala Battistoni”. 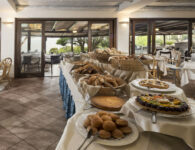 Croissants, cakes, fresh fruit, jams, tea, coffee, cappuccinos and even, juice, bacon, eggs, cold cuts and cheeses, waiting for you each morning with our best “Buongiorno”! A few steps from the sea, the elegant pool bar, is the perfect location for a refreshing moment, without giving up the stunning views of the bright turquoise of the sea waters of the the Baja. 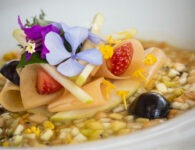 The breathtaking panorama along with the wide selection of drinks and tasty snacks prepared by our chef, will delight your eyes and palates, with delicacy and lightness. 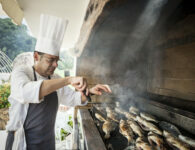 And for lunch, do not miss the fresh and delicious grilled seafood… an unmissable event for those who love the real good food. The hotel Bisaccia, offers its guests several picturesque private small bays, accessible walking along a picturesque and green path, which runs alongside the crystalline waters of the baja. 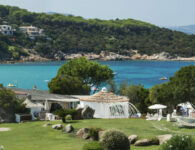 Oasis of peace and quiet, they are the ideal location for those who love privacy and pristine landscapes, a natural setting for the wonderful and transparent sea with a thousand shades of blue. 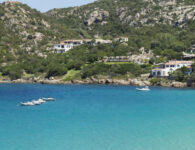 For those who love long, white and sandy beaches, we provide a dedicated area on the the Baja in Cala Battistoni, where loungers and sunshades are free of charge and exclusively at the disposal of our guests. 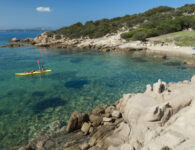 Within a radius of a few kilometers by car or by a long walk, there is also available a wide selection of other fascinating and scenic beaches. 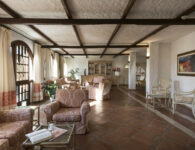 Choosing the Hotel La Bisaccia for your holidays, means living a unique and unrepeatable experience. Besides the heavenly sea in fact, even the surrounding area offers to those who visit it stunning landscapes, hamlets and archaeological sites full of history, beauty and tradition. 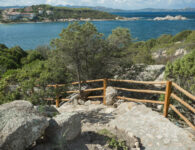 By Walking, on horseback or mountain biking on marked or wild paths, you will be suddenly in such mysterious locations full of fragrances and warm colors. 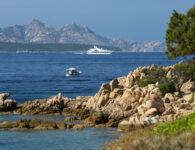 A few miles from the Baja Sardinia, infact, there are the most important tourist centers of the Costa Smeralda, such as the famous Porto Cervo or the elegant Porto Rotondo, where luxurious boutique and super yachts are the masters. There are many archaeological sites to be visit, thanks the Tombs of the Giants or the Nuraghes, you will find yourself on a journey backwards in time. 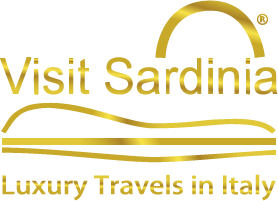 Also deserves a visit the charming village of San Pantaleo, a 15-minute drive from Baja Sardinia, an artistic and cultural center, always colorful lively and full of charming artisan shops. If you are also lovers of fine high quality wine, within a few kilometers, you can visit the wine cellars of unparalleled excellence for an unforgettable wine testing experience.